There are several things to consider when choosing a Medicare Part D plan. Comparing plans would be easier if Part D formularies were more easily accessible… but they are often not. Formularies are considered to be either Basic or Enhanced. Most people will find that a basic formulary is suitable. But there are many people, especially those with chronic health conditions that would be better served by a Part D plan with an enhanced formulary. Depending on where you live you may have literally dozens of choices of drug plans available. Part D plans vary widely by cost and by the list of drugs that are included in each plan. Verify that your drugs are included in the plan’s formulary. Make sure the premium is competitive and affordable. Compare plans for which tiers your drugs are listed in. Establish whether or not you will be subject to an annual deductible. Determine if you will have any coverage in the donut hole. Make sure that your pharmacy is in-network and you have access to a mail order option. If your drugs are not included in the formulary everything else doesn’t matter. When comparing plans it is critical that you have access to the plan’s drug list. Premiums vary widely, mostly based on the depth of the formulary. Whether or not a plan has a deductible will also effect the premium. The average Part D premium will fall into the mid $30 to low $40 range. You also will likely find Part D drug plans with premiums over $100/month. These plans will generally have a very comprehensive formulary. Determine if you require that level of coverage before you commit to a plan with a higher premium. Unless you are entitled to a Special Enrollment Period, you should compare plans and make a choice during the Annual Election period. Beginning October 1st of each year you can see all available plans by visiting medicare.gov. You will follow the same steps to find both Part D plans and Medicare Advantage plans. Make your plan choice between October 15th and December 7th for a plan that will become effective on January 1st. Make your choice count because you will not generally be allowed to change plans during the course of the year. Given this lack freedom to make plan changes it is vitally important that you choose the right Part D drug plan. This requires that you compare plans and take a hard look at the Part D formularies. Don’t make the mistake of basing your choice only on price or low co-pays. where do i go to compair drug plans? Bobbie, If you are interested in comparing 2011 Medicare Part D plans, start with http://www.medicare.gov. Follow the links to enter your zip code. It’s not necessary to enter you pharmacy or your drugs just to get a list of all plans available in your area. 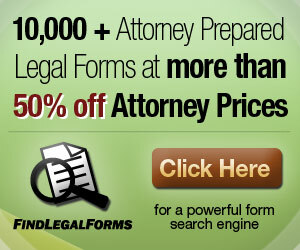 You can also visit websites from companies you may be interested in to compare plans they offer. Remember that even plans with the same company may have different formularies. For example, if you are interested in AARP RX plans for 2011, you will find the plans with a higher premium to generally have an expanded formulary and often some coverage in the donut hole. What good is it if it’s listed in the formulary and they still will not pay, they have to many excuses to not pay when they don’t want to. If you are not in the coverage gap and a Part D provider is not paying for a medication perhaps the formulary has changed and you do not have the most recent list. Part D is regulated too closely by CMS for a company to approach their business this way. If you believe the company is not owning up to their obligations, file a complaint with Medicare. If you are not happy with your Part D or the plan’s formulary, take the opportunity to compare 2011 Medicare Part D during the Annual Enrollment Period. You more than likely have several Part D plans to choose from for 2011. Is there any Medicare Advantage plan that covers the co-pays or has no co-pays? AARP was covering my co-pays but has stopped. Carol, There may be some Special Needs Plans for Dual-eligible individuals (having both Medicare and Medicaid), but beyond that I’m not aware of any. Although there are literally hundreds of 2011 Medicare Advantage plans available and I’m not up to speed on all of them. Do a quick search at http://www.medicare.gov to see what’s available in your area. I’ve tried several times to find Humana’s Drug Formulary on the http://www.Humana.com site and am unable to get to the formulary list than Humana uses. Please help. Sharon, You’re right! It’s not real easy to find the Humana 2011 Part D formularies. But, go to this page on the Humana Website and scroll down to find your State and the plan you are interested in. You will be able to print a pdf of each Humana Part D plan. I clicked on formulary but it did not come up. 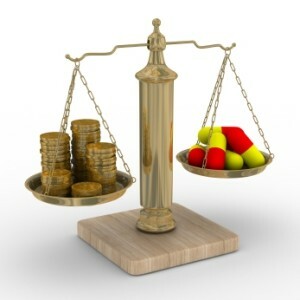 The formulary is needed in order to compare prices. Kay, This article is merely pointing out the importance of comparing formularies for 2011 Part D plans. The formulary is needed to determine if the plan is right for your needs. Comparing prices of Part D plans is best done when factoring in all aspects of a particular plan including the formulary. There are hundreds of Part D plans and formularies can vary from one State to the next. To find a site with the resources you are looking for, visit http://www.medicare.gov. I have been trying to find out whether the drug Multaq is covered by Anthem Freedom Blue, Plan I. I have even called them up & received confusing answers. I’ve, of course, gone on line but was unable to access this information. Should I be working with an agent? Rose, Yes you should find an agent that you can trust that will advise you and answer your questions without trying to push any products on you. Many issues that people on Medicare try to address on their own could be solved easily and quickly with a phone call to a trusted insurance agent. Does any plan even cover partial payment for Pradaxa? Jane, Formularies can vary from one region to another and are not developed on the national level with some Part D plans. Pradaxa was recently approved by the FDA and may not have made it onto Part D formularies yet. Here is a statement from the manufacturer’s spokesperson as to whether Pradaxa will be included in Part D fromularies and what it should cost. My dad had to move from Ky to GA so my sister and I could take care of him. Humana (his Part D) just terminted him for the month of Dec because he moved out of his service area. They mailed us a letter on 11/25/10(Thanksgiving) and it stated as of 11/30/10 he would no longer have Part D coverage. I spent almost all day last Friday talking to Humana and got no where. They did deduct his payment from his SS??? Any suggestions? Is there a plan that would cover him in GA and KY should he decide to move back and stay with my other sister??? Vicki, Sounds like a frustrating situation. First, you should receive the December premium back from Humana. Once a premium is set up to be automatically withdrawn from Social Security benefits, it takes a little time for the Social Security administration to make changes. Even if Humana terminated you father’s plan in November, it would take longer to stop the automatic deduction. It sounds like you received some less than helpful service from Humana. They should have notified you sooner and helped you enroll your father in a Humana Part D plan for Georgia. To answer your last question, Medicare Part D plans are State specific and benefits can vary from State to State. You should enroll your father in a 2011 Part D plan in Georgia and if his permanent address changes to another State, he will have a special enrollment period to enroll in a plan specific to his new State of residency. Can’t find a full formulary list- One Humana rep says the drug I inquired about is Tier 1, and another said Tier 2. I want confirmation. The few times I tried to find out, it says my session has timed out…even afer a few seconds. The drug is not listed in the member guide. J, Here is a link to Humana’s printable Part D formularies. Formularies vary by State and all four Humana Part D plans are listed. Scroll down to find your plan and choose comprehensive formulary. Or you could call your pharmacy and ask them after you tell them which plan you have. The Humana Preferred RX Plan (PDP) is the worst RX plan that I have ever seen. I would have been better off paying $50.00 per month to my old company (Welcare). According to your list all of my drugs are tier l or two. However, I paid $9.00 for Paroxetine 10 MG and $26.34 ofr Gapentikn 300 Mg. and $17.64 for Lovastatin 40 Mg. Then I have an additional $310.00 deductible. Plus the $l4.00 per month. All of my drugs are generic. WHAT A RIP OFF. Berta, Medicare Plan Review is not owned or operated by an insurance company including Humana. If you can prove that your Medications are included in tier one or two contact Humana to determine if the mistake is on their end or if the pharmacy has billed you incorrectly. Although I understand your frustration, taking your case to the proper party is the first step to resolving your issue. I’m having trouble trying to find a full list of drugs covered by AARP Secure Horizons. I went to their website and could only look up one at a time. When I put in my zip code to supposedly get the “full list” I still did not get it. I feel like I’m getting the runaround, but maybe just not experienced enough on computer to figure out what they are telling me to do. Sue, They don’t make it easy. After you have entered your zip code and clicked RX Plans click the Our Plans Link at the top navigational bar. A pop-up window opens – choose Drug Lists under Plan Resources and Materials. Then choose the correct PDF for the plan you are interested in. Be sure to check the PDF for AARP RX Plan formulary changes and additions as well. I hope that helps. does this plan pay on the shingles vaccine? K Bailey, Part D plans are offered by private insurance companies and benefits can vary. 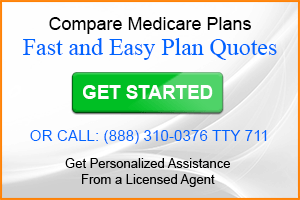 Search for available plans at http://www.medicare.gov and then visit a plans website to review the Part D formulary. Tried to find mometasone 0.6mg INH 2ML CMP-PE on the AARP Medicare Preferred Plan. It is used in a nebulizer with saline. Please advise if this is covered. Karen, Visit http://www.aarpmedicareplans.com and search for your plan. You will need to research the specific plan formulary. formularies can differ from one are to another. How can I compare formularies? If one plan formulary contains 1500 items, and another 2100, I might want to pick the latter plan (just in case). Do I have to count them myself? Chris, Typically the number of drugs included is not the factor on which a plan is chosen. Instead find a plan that covers all your current medications. You can either download a formulary and search for your drugs alphabetically or use an online Look Up Tool found on most plan websites. have the part D with the HMO. Gail, It may be easier to contact the plan’s customer service department and ask that the formularies are emailed to you. You could also contact a local agent who can give you a printed copy. I’m sorry i can’t be of more help, I don’t understand what you mean when you say Exact letters. I tried to use medicare.gov to find out if some medications my doctor recommended were covered but it wouldn’t let me add the drugs to the list. Does anyone know if Part D covers Remicade? Angie, All Part D plans have different formularies. Unless Remicade is specifically not allowed by CMS to be included in Part D you should be able to find a plan that will cover it. Try visiting a plan website and entering your drugs in their drug finder software. I will be receiving Medicare part a and b in April, 2014. It is health related, as I am 60 yrs old. AARP Medicare Suppliment Plan (n) is what a representative said would best suit my needs, but she stated that once I agreed to the Suppliment plan, I could not change plans for 5 years. I am getting the AARP part D, drug policy also. Why do I have to wait 5 years if the coverage is not agreeable with my illness’ needs? Any ideas? Stanley, I’ve never heard of this. I would get clarification from the agent.